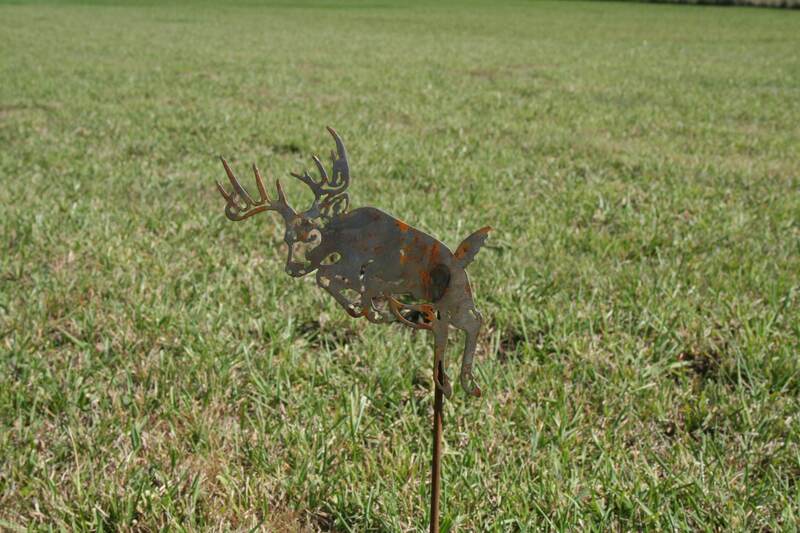 Rusted Deer garden stake is perfect for your landscape! 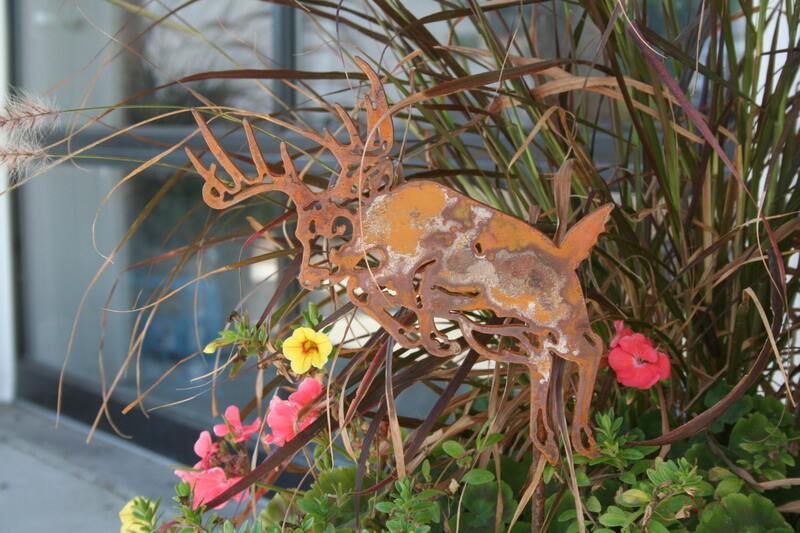 It's also a great size to stick into a flower pot! 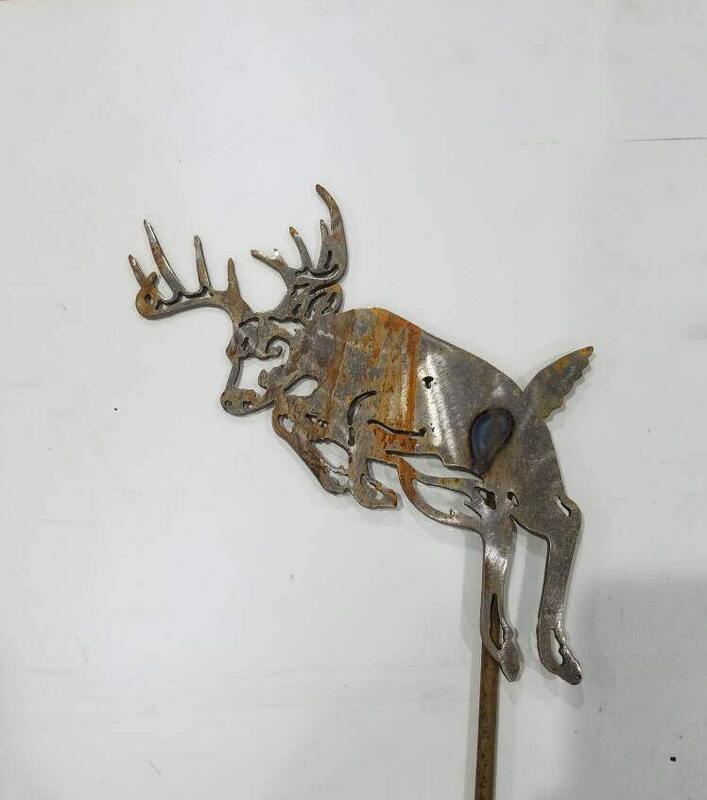 Leaping deer stake is roughly 25" tall. 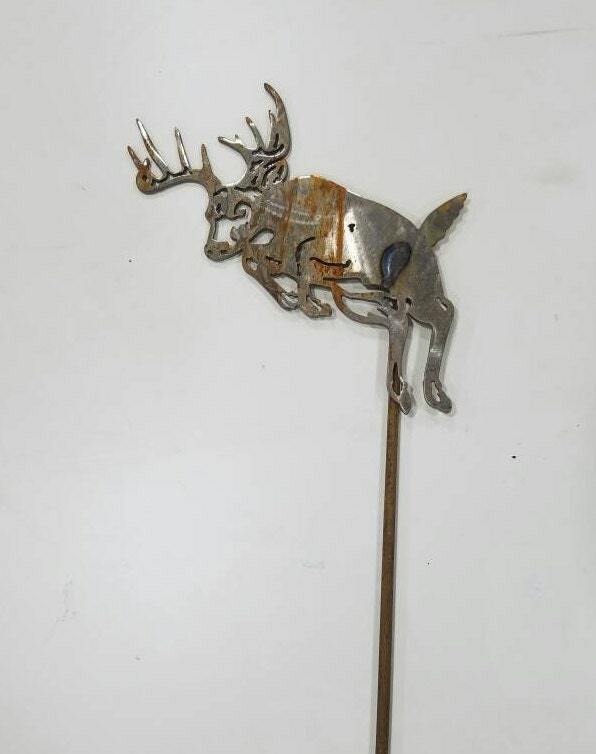 The deer itself is about 8 " tall. It's light-weight but sturdy. Very well built! 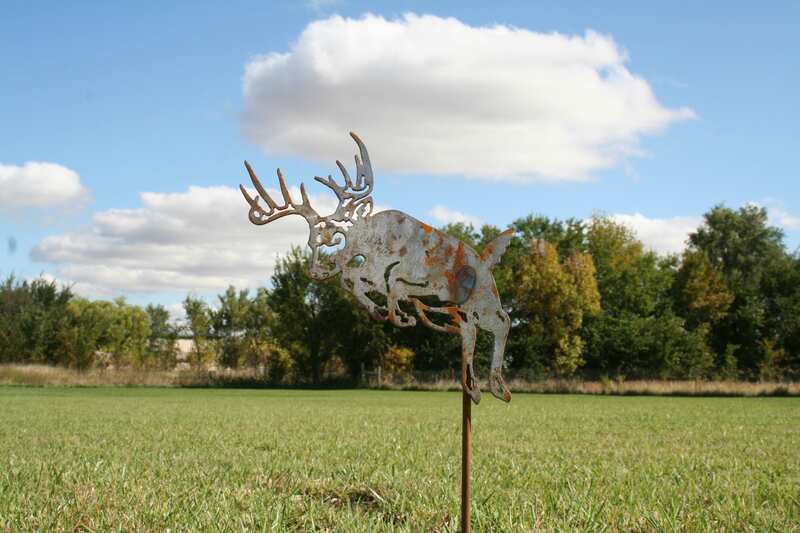 This rusted deer stake will add the perfect charm to your landscape or garden. 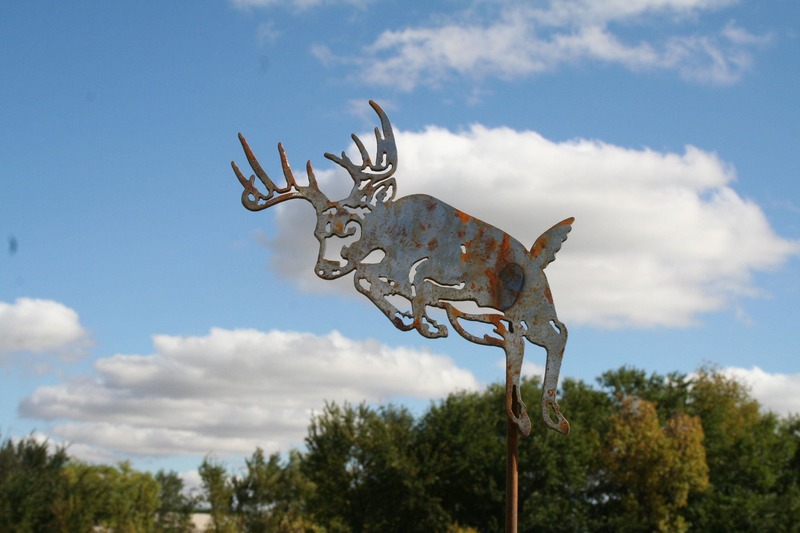 Great gift for the outdoorsman. 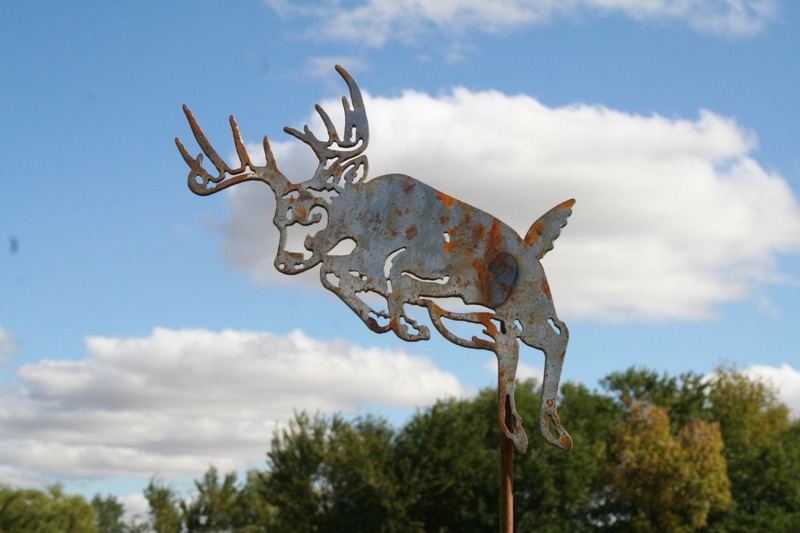 Deer hunters will love it! 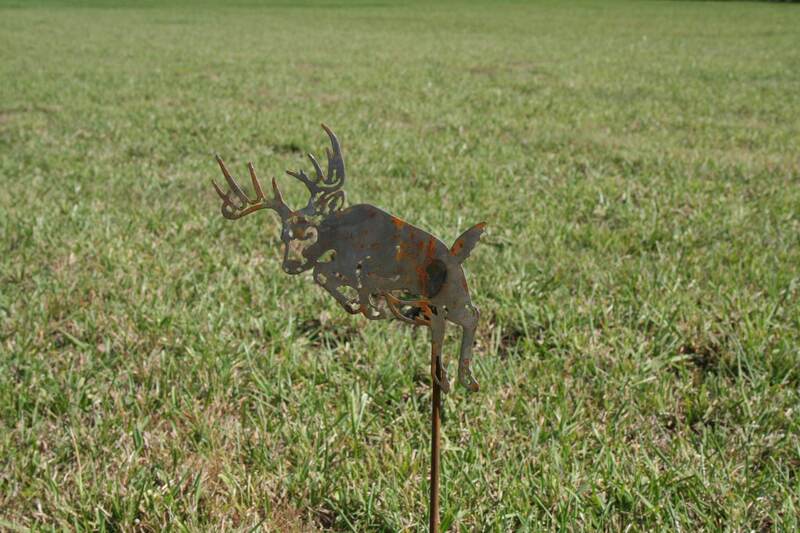 We hope you'll love this metal garden stake as much as we loved creating it!